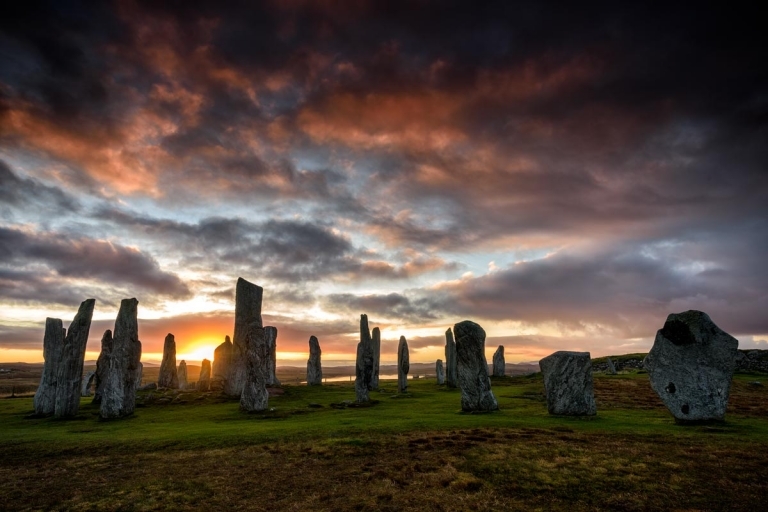 The Neolithic stone circle at Callanish on the Isle of Lewis is an awe-inspiring sight, especially at sunrise. 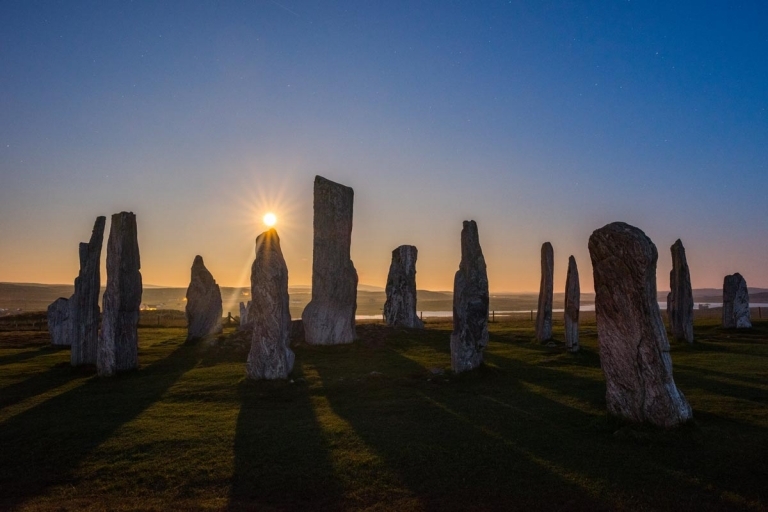 There are many neolithic sites around the UK and beyond, but the importance of the stone circle at Callanish ranks equally with Stonehenge in England, the ring of Brodgar on Orkney and Carnac in Brittany. The site stands on raised ground and is configured in the shape of a celtic cross, around 400 feet long from north to south and 150 feet from east to west. The central ring is 42 feet in diameter and comprises 13 megeliths 8 and 12 feet in height with a central megalith standing 16 feet tall at the end of a small burial chamber.The stones are composed of Lewisian gneiss. After many photographic journeys in the Outer Hebrides and visits to Callanish, the best advice I could give on how to approach your photography there is to be prepared for company! It is a popular location with photographers and during the peak tourist season between April & October it can get quite busy. Busy times can be frustrating when the light is spectacular and inconsiderate people walk into your composition. I have witnessed one or two unpleasant exchanges between photographers. My personal take is that the site is free to enter, it is a public place and it is better to be tolerant of others. It really isn’t worth getting into a confrontation, the stones have been there for a while are likely be around for at least another 5000 years and you will want to return! One of the reasons I schedule my Wild Light Outer Hebrides Photography Workshops in the autumn is because the days are shorter and there are fewer tourists. This makes getting to the site and setting up before sunrise is less traumatic. In October, we usually leave the Harris Hotel around 5am to be on location at 6am. Sunrise will begin around then and by 7am you will be rewarded for your early start. In September 2014 a supermoon was spectacular at Callanish. The image below was made around 9.20pm. On this evening, the clear skies had attracted quite a number of photographers who were anticipating a good sunset. The sunset was unremarkable because of the clear sky, it’s often better with broken cloud, and gradually al the other photographers drifted away, leaving me as the sole witness to this event. Night became almost day with the clear air and intense light from the rising moon and the effect was spectacular. Doing a little research can pay dividends! The north Atlantic maritime climate of the Outer Hebrides means that the weather is changeable. Most landscape photographers develop a sense of optimism; the rain will stop, the cloud will lift and the light will improve, and it often does! Don’t make the mistake of peeking out from the curtains and convincing yourself that the light isn’t worth getting out of bed for. The most unpromising pre-dawn light can become spectacular as conditions change. Sunrise, sunset and everything in between. 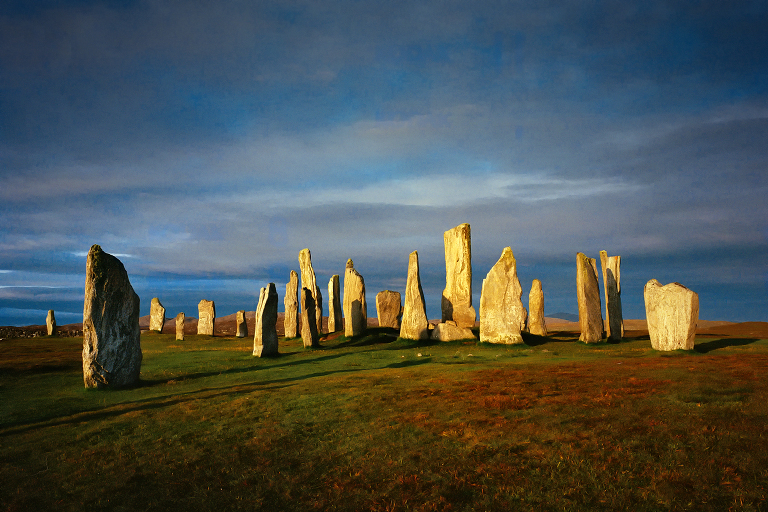 The Callanish Standing Stones are endlessly fascinating and always rewarding to photograph. 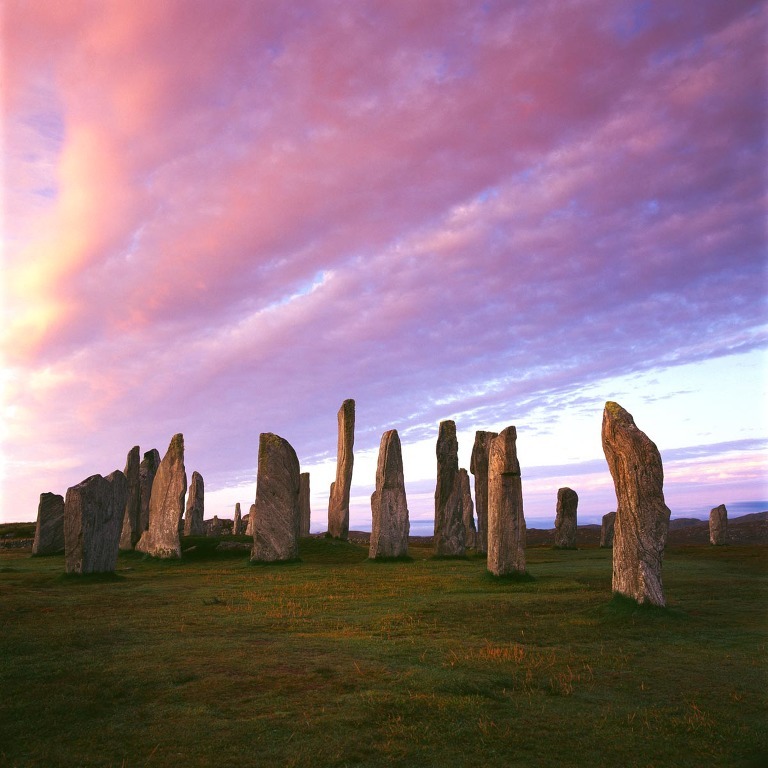 A photography break in the Outer Hebrides would not be complete without visiting Callanish. If the light and weather turns out in your favour, you will be rewarded with images that give you a lot of satisfaction for a long while afterwards. If you are thinking about a photography break and joining a small group on a Wild Light Workshop, please contact me for the itinerary and booking details of our next landscape and seascape tour in the amazing Outer Hebrides.